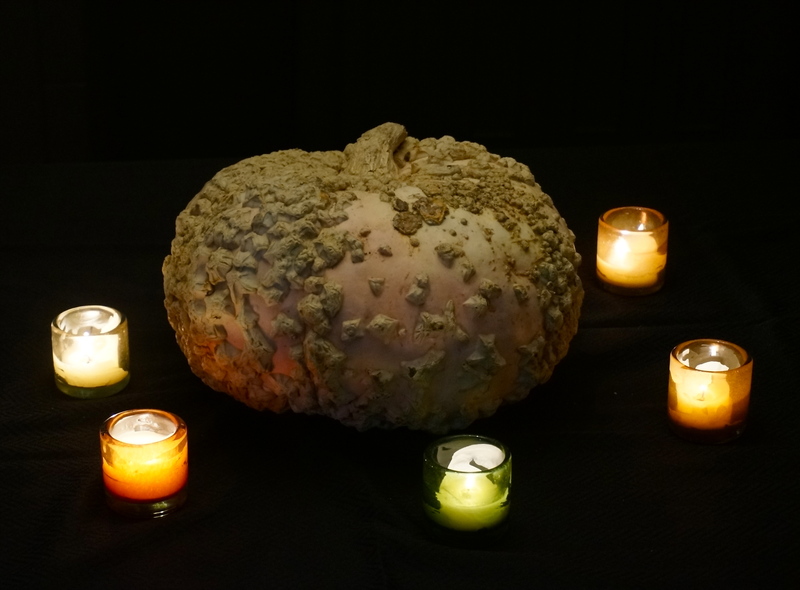 If you’re still looking for some last minute Halloween decor ideas–simpler than this front yard fright fest I spotted in Virginia last week–consider combining seasonal votives and an exceptionally gnarled pumpkin with a black tablecloth. 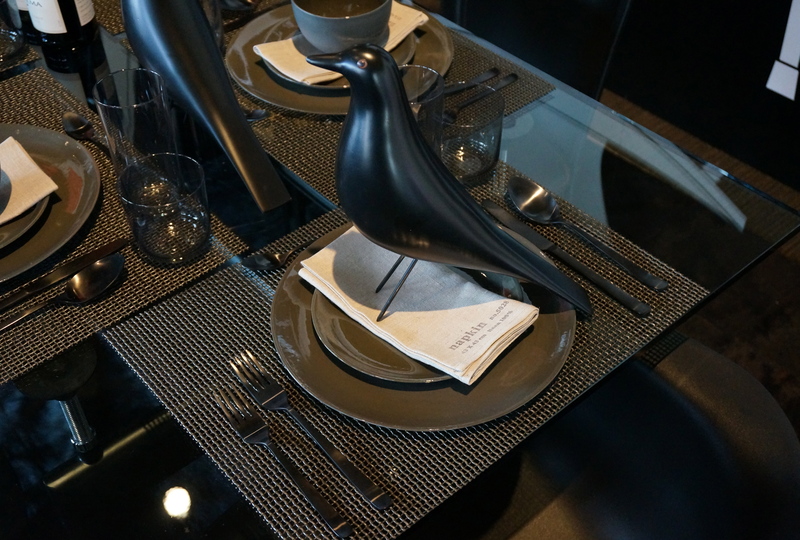 Or add a string of spooky black cat lights to an all black tablescape like the one Design Within Reach put together for this week’s Dining by Design DIFFA fundraiser in San Francisco. Then break into the fun-size treats and check out the silly costumes worn by talk show hosts (this is the one time of year I pay attention to morning TV) and this creepy cool new video by David Bowie. Here’s wishing you a boo-tiful day full of more treats than tricks! 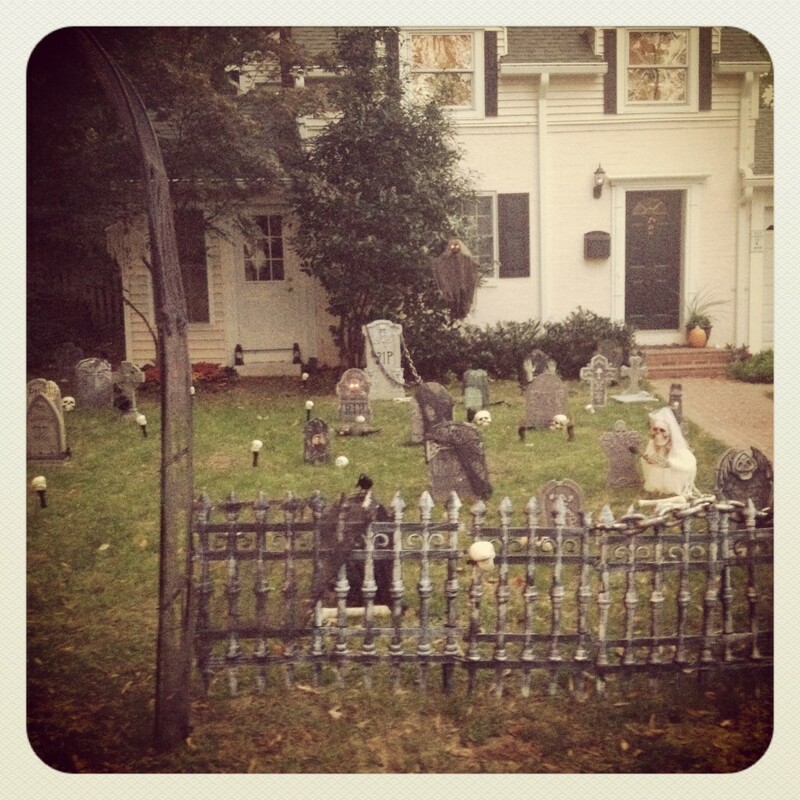 This entry was posted in Shelter, Style and tagged design, Halloween, holidays, interior design. Bookmark the permalink. Post a comment or leave a trackback: Trackback URL.